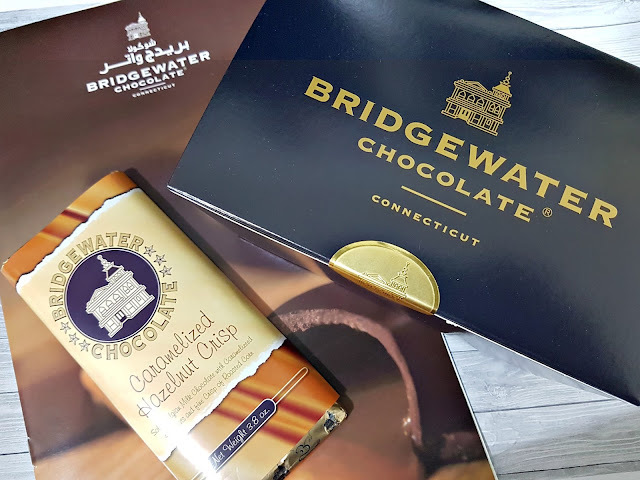 Went out for pizza at the Grand Avenues and my eye caught Bridgewater Chocolate, a gorgeous chocolate shop just opposite to where we were seated. So of course after lunch, we had to go check it out. The store has just been open for a month but going by the number of customers inside, they seem to be doing quite well! The store is absolutely beautiful and just screams luxury! 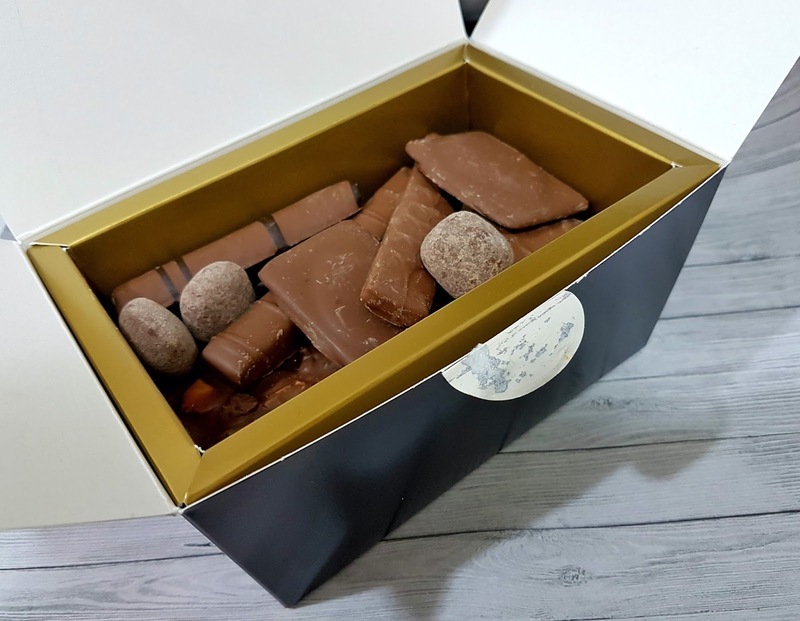 They sell a large selection of loose chocolates priced at 32 KD/kilo (albeit a little expensive when compared to other chocolatiers) as well as readily boxed chocolates and a few different chocolate bars. Its a pity I forgot to take photos in the store, but here's one I found on their instagram account. While we were browsing, the staff approached us with a tray so that we could sample the different chocolates they sold. We were also offered samples while at the counter and let me tell you, they were delicious! 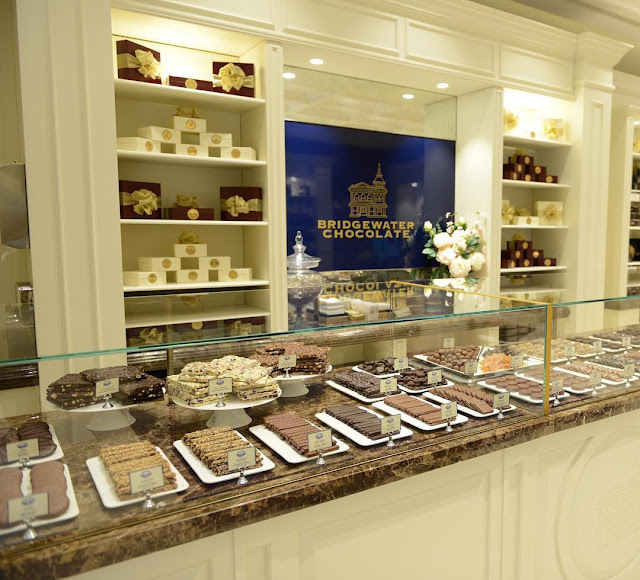 Bridgewater sells a wide selection of chocolates such as brittle toffees, oozing caramels, chocolate covered nuts and fruits and much more and we left the store with a considerably lighter wallet and a bag laden with handmade chocolates (evidence of my atrocious sweet tooth). After trying quite a few, my favourites are the toffees and caramels, namely the Irish Toffee and the Good News Mint Caramel (almost sounds Biblical!). 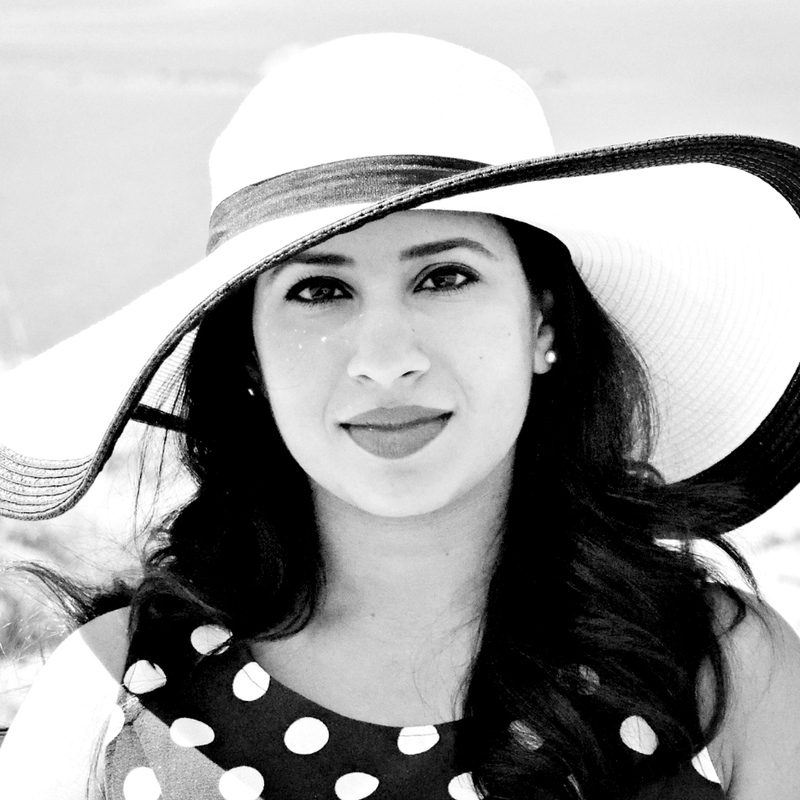 Just loved our shopping experience and we easily demolished most of our purchase overnight. For some sinfully delicious chocolates, find them next to Victoria's Secret in the Grand Avenues. Oh good, its not just me then. I thought their prices were quite high as well, but just seeing that much chocolate laid out in front of me was just way too tempting!